Converse E. Madison, Anchorage. Dated Mar. 2, 1953. 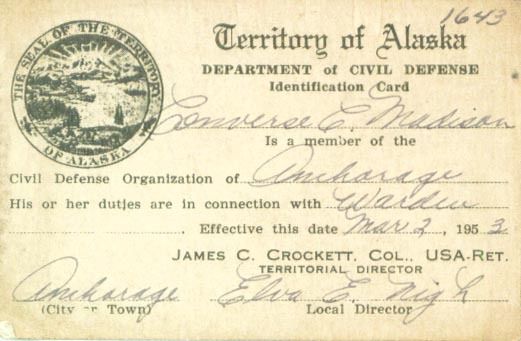 Territory of Alaska, Department of Civil Defense, Identification Card. Are you looking for MADISON ancestors? If so, we suggest posting a query to our Community Message Board to get assistance from other researchers.